Schumacher, Tim Martin, Glovibes, Freshok, Shoemaker Brothers and more. This show was 25th in the global minimal tech house chart, 47th in the global minimal chart, 47th in the global tech chart and 48th in the global minimal techno chart. 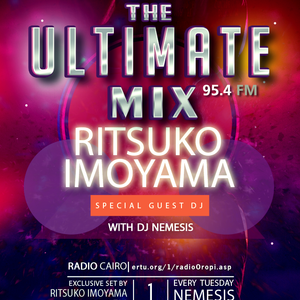 The Ultimate Mix Radio show on Radio Cairo 95.4 FM (The Local European Program in Egypt Radio Network) hosted by DJ Nemesis, is the best place to hear the newest tracks, remixes and exclusives dance music from all around the world. Selecting the very finest and freshest dance music with an exclusive hour-long guest mix each week.